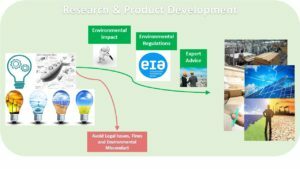 When might you need an Environmental Consultant? 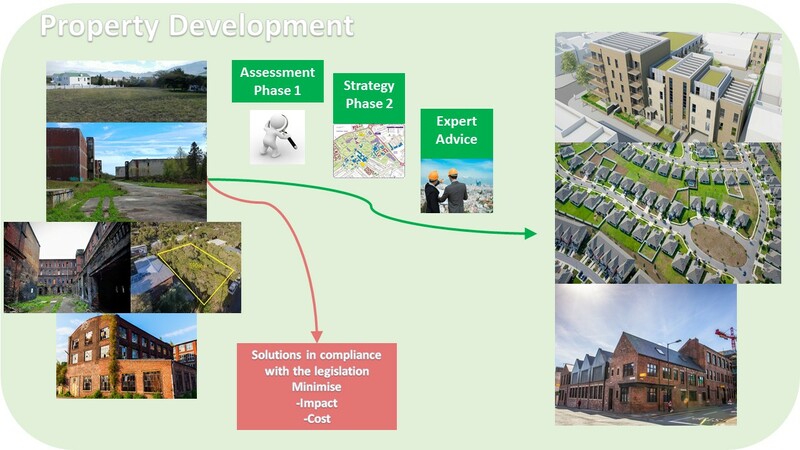 An Environmental Consultant has the scientific knowledge and technical expertise to conduct thorough environmental assessments to define the suitability of a site in respects of existing or planned developments. For example, a company might consider buying a piece of land for development. The consultant will complete a Phase 1 assessment, research the site history and any previous investigations of that particular site. If contamination is suspected, further investigation will be carried out and data collected, and then advise the most cost-effective strategy in compliance to environmental laws to minimise environmental impact. An Environmental Consultant has the technical expertise to devise investigations, assessments and remediation strategies tailored to each specific case scenario. -Land Assessment: including site walkovers / surveys and sample collection. -Data analysis: data will be interpreted and conceptual site models created to identify contaminants; whether they pose a risk to the site or surrounding environment, if materials can be treated on-site, or removed for disposal as hazardous or non-hazardous waste. 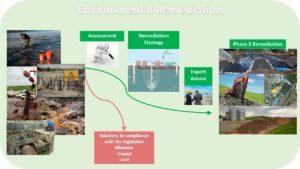 -Remediation Strategy: The remediation plan in conjunction with environmental compliance/ regulations, and the client’s need should balance cost and benefit. -Expert Advice: communicating with clients, regulators and sub-contractors, the consultant will define the logistics of the remediation process and supervise the progress of the work. Developing new products and new ideas, redefining production process and energy requirements. The consultant should be up to date with environmental regulations and able to advise clients on their duty of care of all environmental aspects. Whether these relate to incident response (pollution control for example), to meeting obligations under planning conditions for managing contaminated land appropriately. 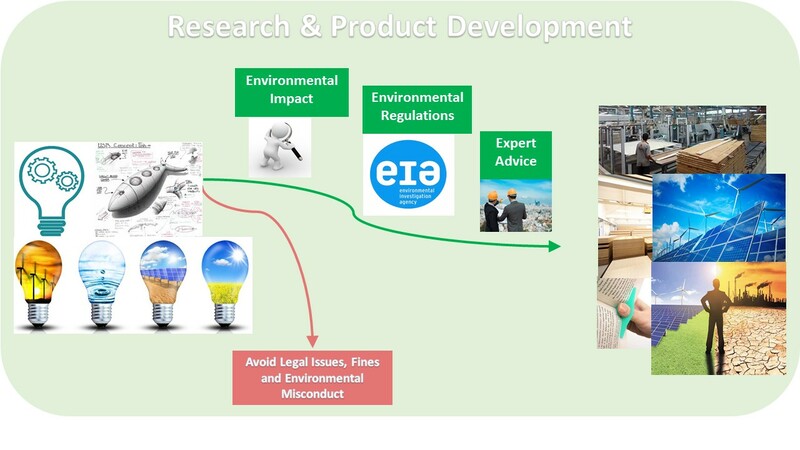 A environmental assessment will benefit organisations that invest in research & development. The consultant will identify whether a new process would result in water, air, or land contamination and the adverse impacts on varying receptors. For example, the consultant will assess how the construction of power stations, wind farms, housing or other large sites may impact the surrounding environment and then interpret the data, run prediction models and provide expert advice on environmental regulations. You might find the White Paper below helpful. We’re happy to talk so feel free to contact us on 0800 0209 307 or e-mail us on info@soilutions.co.uk. The National House Building Council now requires to see a site verification report as part of the DoW CoP. 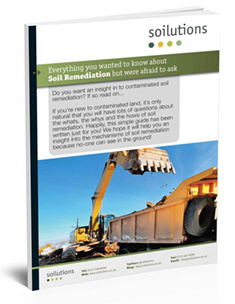 The report needs to contain evidential documentation where soils have been imported on to your site including a declaration from a qualified person for each donor site. There is a 21 working day consultation/no objection period now being enforced by the EA before work starts, to give the EA time to approve the materials management plan (MMP). Specific guidance has been issued by the EA that requires as a minimum a desktop study for all sites, including Greenfield, if your intention is to export soils to another site. An EHO approved remediation strategy must be in place before formation of a MMP and any works can start. What is and what might a Phase 2 Intrusive Investigation involve? 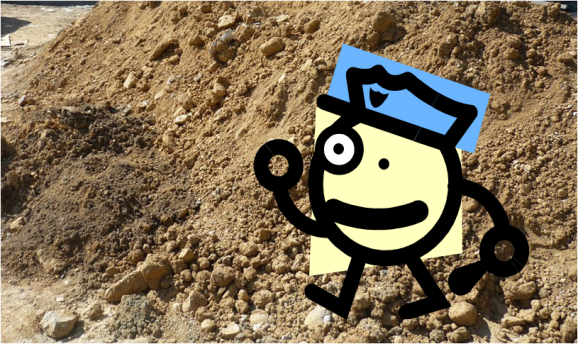 What does a Phase 2 [Intrusive] Site Investigation involve? Is the neighbouring engineering works or rail yard affecting the site? Has the leaking fuel tank impacted the ground or groundwater? Has the former gasworks impacted the ground or groundwater? Is contamination moving through the ground to neighbouring property? 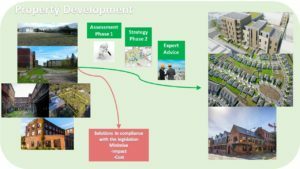 Are there any vapours or gases that might affect the proposed development? Is groundwater flowing towards the pond or not? The unknown parts are what the Phase 2 investigation should attempt to answer. Having an understanding of the typical contamination associated with industrial processes in particular, at least gives the Phase 2 a fighting chance of successfully understanding and fixing problems. Our investigations would call for collection of soil, groundwater (and possibly surface water), vapour or gas monitoring to confirm sources of risk but also confirm that pathways are in action, if we are collecting groundwater samples we can also calculate the direction of groundwater flow for example. We select the technique or combination of techniques on site conditions and to provide the most economic and technically balanced approach possible. For the sake of this example, the investigation may have included shallow window sampling boreholes and deeper shell and auger boreholes with gas/vapour and groundwater monitoring installations. It is also possible that additional trial pits could have been used to collect soil samples across the site. As part of any investigation, it is common to include monitoring of groundwater, gas and vapour or other aspect of concern. These monitoring visits can be done over several weeks or months depending on the scope and purpose and are usually detailed as part of the investigation design. What is a Phase 1 Environmental Investigation? Do I need a Phase 1 Environmental Site Investigation? Why might a Phase 2 Intrusive Investigation be necessary? 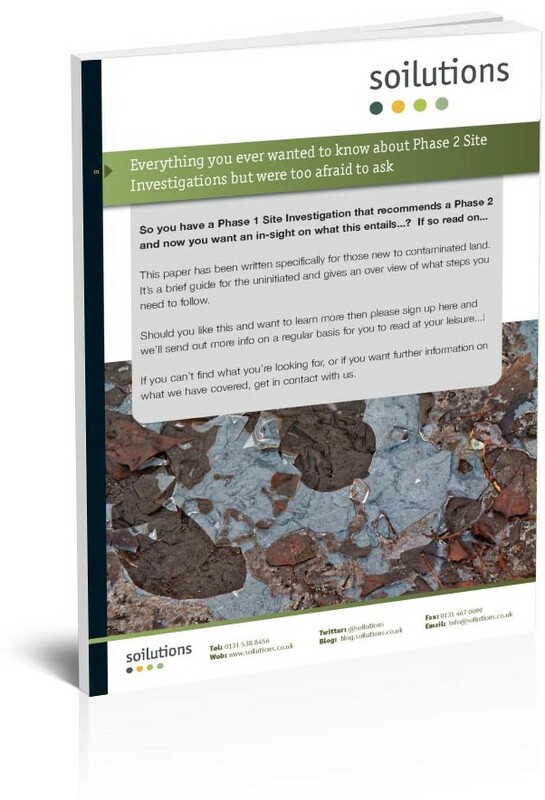 This free guide will help you learn about Phase 2 Site Investigations in the simplest terms. Download it now for free!